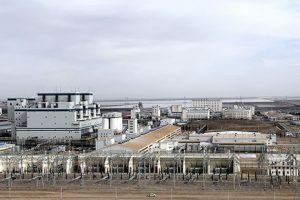 Australian-listed Magontec Limited aims to start producing magnesium alloys at its Qinghai casthouse in the third quarter of this year, executive chairman Nicholas Andrews told Metal Bulletin during an interview on the sidelines of the 74th annual world magnesium conference in Singapore this week. Magontec will receive 56% of the production from the Qinghai Salt Lake Industry Company’s 100,000 tonnes per annum magnesium smelter which will convert, after alloying, into about 60,000 tonnes per annum of magnesium alloy at full production. “The Qinghai plant will transform our business. We will be the largest magnesium alloy producer in the world and we are already number two or three in terms of exports [of magnesium alloys] from China, and the leading global magnesium alloy producer when the European operations are included,” Andrews said. The bright spots for demand in magnesium alloys will come from China’s automotive sector and the move away from gasoline-powered and diesel-powered vehicles towards electric vehicles world-wide. “China has 25 million new cars every year and those cars manufactured by Chinese automakers use very little magnesium, so if the Chinese used the same amount of magnesium as European auto manufacturers do then there is big scope for this light metal,” the executive said.